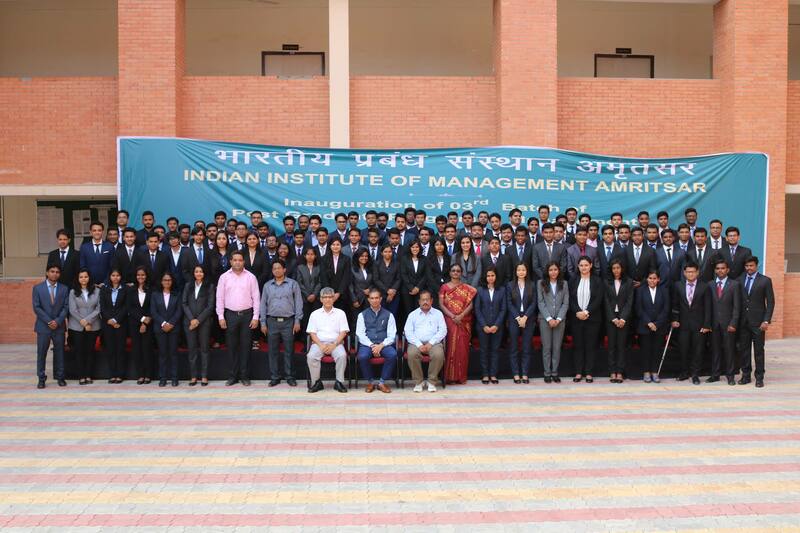 Mr. Varun Satia, Founder and Chief Storyteller, Kraftshala, conducted a Marketing Workshop on ‘Reverse Marketing’ for the students of IIM Amritsar. Mr. Varun Satia has been responsible for creating effective communication for brands across food, e-commerce, and lifestyle, including working with Nestle on Maggi Noodles, Kit Kat Chocolates etc. Mr. Varun Satia, engaged the students by motivating them to voice their concepts of Out of the Box marketing. Taking cues from the different ideas put forth in the discussion, he provided deeper insights about how these concepts could be used and translated to the advance marketing concepts. Mr. Satia explained how very finger in a human hand has its own utility and performs the task effectively, all of them are employed. On the similar lines the 5 sub parts viz. Business Objectives, Target Consumer, Communication challenge and Insight, Storytelling and Benefits & Reasons to Believe of the Marketing, have their distinct feature and utility and thus can be considered analogous to the fingers of the human hand. Thus it is named as the “Hand of Neo”. Each concept was thoroughly discussed using real industry, past and present scenarios. Business Objectives were indicated by the Index Finger as they provide the direction to the business. The evolution of Business Objectives, using the industry cases of Amazon, Flipkart, Bourn Vita, Cadbury etc. was discussed. Mr. Satia explained how data and research has driven the marketing strategy and how the concepts of Market and Product Penetration are evolved. Mr. Satia also explained how market growth equation is governed by the factors like average weight of consumption, frequency of consumption, market geography. Also, how these concepts are employed to target strategies for Market Penetration and Marketing Campaigns were discussed by him. Mr. Satia also discussed the importance of the importance of the emotional connect of the product with the consumer. He addressed the importance of proper segmentation and targeting of the customer base and then positioning them by using campaigns, celebrities and messages to accentuate the message the product is aiming to convey. Communication is the heart for any advertising campaigns. How successful brands have employed effective communication strategies, and how they were able to establish a Point of Differentiation for themselves have also been discussed. Also, Mr. Satia has exemplified the importance by highlighting how different social scenarios have been used to work their way inside the consumer’s heart. The importance of storytelling, in the modern market landscape was also discussed. Examples of the classical story of the Arabian Nights were used to exemplify how stories could be used to generate curiosity and their association with a product could generate the brand equity for the brand. To conclude with, Mr. Satia discussed about the sales and marketing program run by Kraftshala, which are built directly in collaboration with the top recruiters and industry leaders to prepare students for the on board job roles. The entire workshop enabled the students to develop techniques to enhance their marketing acumen, and how this marketing competence could be used by them to project, differentiate and ultimately help the brand to succeed in a sustainable way in the long run.